Welcome to Rumah – Afra shop. By using this webshop you accept the terms and conditions of use. Please read them carefully. Rumah – Afra is selling her second hand clothes, accessories, shoes and interior items. The quality and conditions of the products will be told by afra through her pictures or stated otherwise. All products are sent by Rumah – Afra herself. These purchases cannot be returned or exchanged for any reason. Please think wisely before purchasing. It is not possible for Rumah – Afra to cancel an order once it has been shipped out. 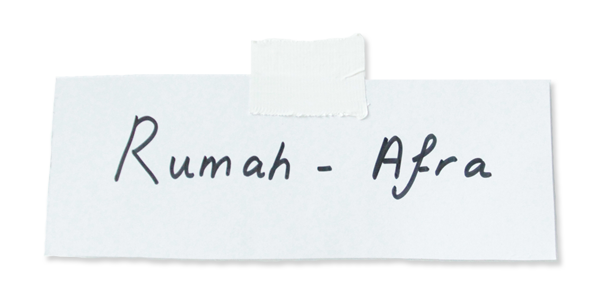 Rumah – Afra does not charge any shipping costs in the Netherlands and Belgium.